The drone battery on the other hand is hindered by any number of limitations. Although generally safer and more environmentally friendly than other R/C batteries, Lithium polymer (LiPo’s) now power over 95% of all drones worldwide. 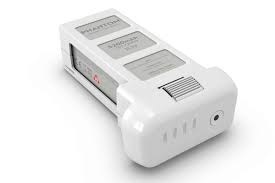 LiPo’s unfortunately are affected by a number of problems. They overcharge, over-discharge, over-temperature, short circuit, crush easily and therefore can result in a catastrophic failure, including rupturing, electrolyte leaking, and fire. You are probably aware of their extremely limited battery life. Although devices have become both more affordable and more technologically advanced, a majority of them will only stay airborne for a depressingly limited amount of time. Most within a range of 12-35mins. To compound that, it will on average take over an hour to fully recharge. Obviously, there are a variety of factors that can negatively impact a drone’s flight time. These include things like wind, weight and flight style. For example, when flying in heavier breezes, you’ll find that your average flight time will decrease significantly compared to flying in calmer conditions. Likewise, if you’re flying with added weight (like a camera or prop guards), then this too can decrease your drone battery life. LiPo Batteries have become the universal power source for drones today, as they are lightweight and have high discharge rates (can store/release a lot of energy). 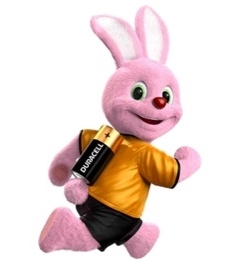 Therefore generally speaking, bigger batteries do correlate with higher drone battery life. 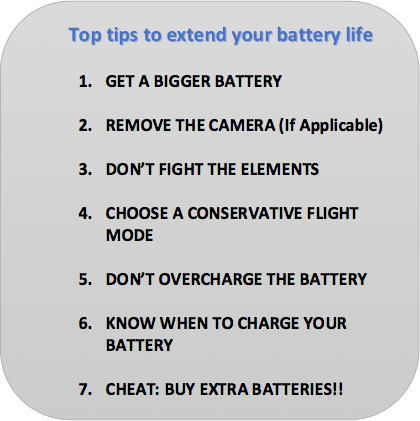 Lastly and often most importantly for drone pilots, the cost of batteries is expensive. Taking into account the limited flight time of the drone, most pilots do not wish to be caught short, and will often purchase 4/5 backups. With each costing on average £120 upwards. Are we nearing the end of the LiPo battery? For drones to achieve the holy grail of flight and be capable of delivering packages safely, then we must increase battery life substantially. A solution is now in the offering. 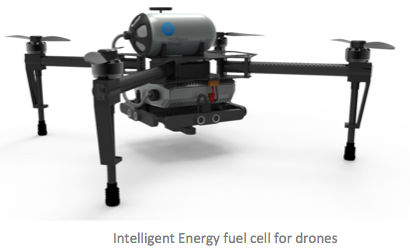 A British company specializing in hydrogen power, very recently announced that it has created a fuel cell optimized for small drones. By adding a hydrogen fuel cells onto a typical battery, the company says it can extend flight times from around 20 minutes to over two hours. And because the unit can be recharged with compressed hydrogen, refueling a depleted cell can be accomplished in a few minutes. Intelligent Energy says it has tested the system on generic systems equipped with cameras. It experimented with a unit carrying only a hydrogen fuel cell and one with a hybrid of fuel cell and battery. The company has built versions of its fuel cell to power planes, scooters, and cell towers. It more recently began experimenting in the consumer electronics space, crafting a cellphone battery that could provide a week of power on a single charge. Insurance4drones awarded best Insurance Product at UK Drone Show Awards!